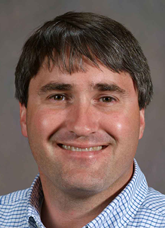 By Daniel O. Stephenson, IV, Ph.D.
Summary: This presentation will help consultants, county agents, growers, and other practitioners in the Southern U.S. cotton-producing states in the development of glyphosate-resistant johnsongrass management plans. Specifically in this presentation, individuals will learn that postemergence applications of Liberty are effective for control of glyphosate-resistant johnsongrass, but if applied alone, multiple applications are needed for full-season management. However, only two applications are needed if Liberty is tank-mixed with a graminicide such as Select Max. The best practice for season-long management of glyphosate-resistant johnsongrass is a program that contains preplant, preemergence, early- and mid-postemergence, and layby herbicide applications. Furthermore, proper herbicide selection in a cotton and corn rotation offers another tool for management of glyphosate-resistant johnsongrass. Finally, practicing good sanitation, such as cleaning harvesting and tillage equipment before leaving an area infested with glyphosate-resistant johnsongrass, will help to prevent movement of this pest.